Cinecon is back! That’s right. Over this coming Labor Day Weekend (September 1 – September 5), cinephiles from around the country (and possibly the world) will gather at Hollywood’s historic Egyptian Theater to view remarkable films, thrilling celebrity guests and a collection of movie memorabilia during the 52nd Annual Cinecon Classic Film Festival. 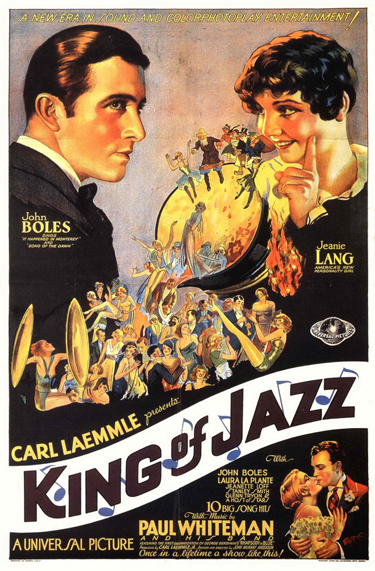 Just some of the highlights include a new restoration of 1930’s King of Jazz with Paul Whiteman and an all-star cast that will screen on Saturday night. A special film tribute to Jack Oakie will consist of Looking for Trouble (1934) with Spencer Tracy (1935), Sitting Pretty (1933) with Ginger Rogers and Tin Pan Alley (1940) with Alice Faye. American Asian stars, Anna May Wong and Philip Ahn (both Los Angeles natives) battle alien smugglers in Daughter of Shanghai (1938). Also see the lovely Dolores Del Rio in the rarely screened classic Ramona (1928), along with Warner Baxter. Some rare and early films made at Fort Lee, New Jersey—before Hollywood was Hollywood— will screen, and there will be a sneak peek at an episode of The Clown Princes of Hollywood (2016) from the new DVD collection Silents Please: The Great Comedians. For Western fans, there will be Gary Cooper in The Spoilers (1930), Ken Maynard in The Fighting Legion (1930) and in a more modern tale, there is Sky High (1922) starring Tom Mix as a border patrol agent who is fighting smugglers. Special highlights will include restored shorts of Laurel & Hardy; the great director Ernst Lubitsch’s silent production of So This is Paris (1927), and a 12-part pre-code serial from Universal called The Jungle Mystery (1932) that will run periodically throughout the festival. Bob Birchard speaking at Cinecon 48. 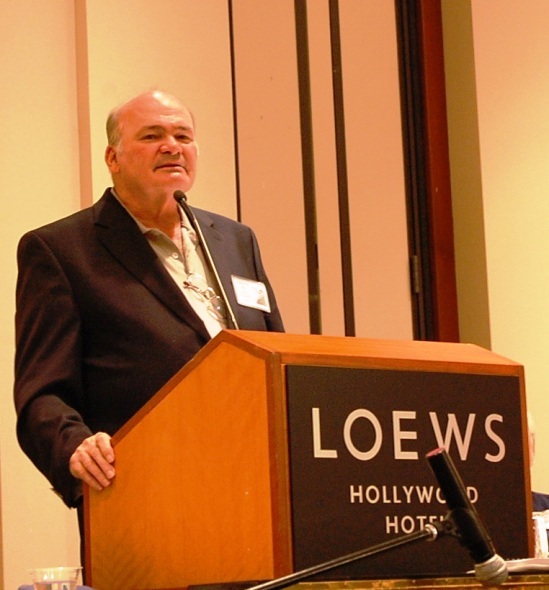 At 5 PM on Friday, September 2, 2016, there will be a memorial held for former Cinecon president, Bob Birchard, who passed away on May 30, 2016. In addition to his dedication to overseeing Cinecon for many years, Bob was a well-respected film historian, author and film editor. He will be missed by many especially by everyone in the Cinecon family. The memorial is open to the public, and all are welcome. This year, the Cinecon Board of Governors announced the presentation of the inaugural 2016 Cinecon Legacy Award to the legendary actress, author, and activist Marsha Hunt. 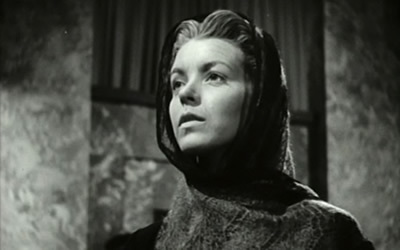 The award will be presented to her in person on Friday, September 2 at the Egyptian Theater following a screening of her personal favorite film, None Shall Escape (1944), the story of what war crimes trials might be like following World War II. This movie was released two years before the actual Nuremberg trials. Besides The King of Jazz (rarely seen in the last 70 years), there are a few films I am looking forward to including Universal’s sparkling new restoration of the Marx Brother’s classic Animal Crackers (1930) containing footage originally cut by the scissors-happy American censors. Then there is A Million Bid (1927), a silent melodrama of love, motherhood, death and amnesia, starring the beautiful Dolores Costello (and grandmother of the present-day actress, Drew Barrymore). Also, plan to be scared silly during The Last Warning (1929), a pre-cursor to Universal’s horror legacy with ghosts, and murder in an eerie, deserted Broadway theater, starring the also neglected stars Laura La Plante and Montagu Love. 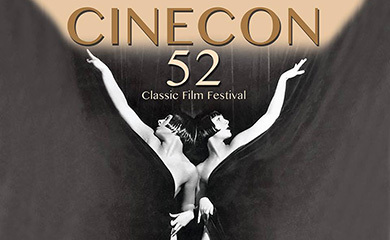 In addition to the great actors mentioned above, at Cinecon 52 you will also see more films featuring Patsy Ruth Miller, Harold Lloyd, Jobyna Ralston, Monty Banks, Abbott and Costello, Claire Trevor, Ralph Bellamy, Madge Kennedy, Thelma Todd, Eva Novak, Douglas Fairbanks, Betty Grable, John Boles, Dixie Lee, Jack Haley, Richard Conte, Lynn Bari, Bing Crosby, Blanche Sweet and many, many more. 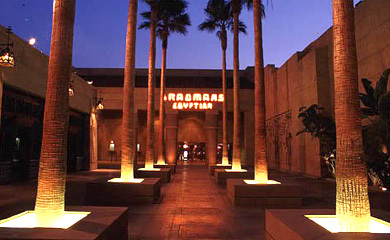 These classic films and much more will screen at the historic Grauman’s Egyptian Theater (home to the American Cinematheque) So if you have not reserved your seat, go to the CINECON website and find out how you can enjoy five days of non-stop classic films and fellowship with like-minded cinephiles in the heart of Hollywood. See you there. Cinecon 52, Egyptian Theater, 6712 Hollywood Boulevard, Hollywood. Stay at Loews Hollywood Hotel, 1755 North Highland Avenue, Hollywood.